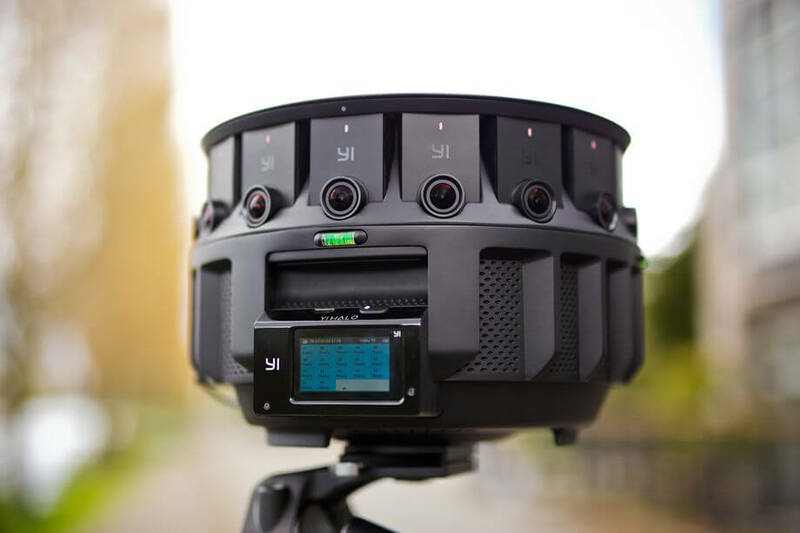 Back in 2015 Google partnered with action camera pioneer GoPro on a new virtual reality platform called Jump, consisting of a custom hardware rig that uses an array of GoPro cameras to capture footage that’s then turned into 360-degree video. Today the company is announcing its second-generation VR camera, this time around however they’re partnering with Yi Technology, a Xiaomi-backed GoPro competitor. The device is called the Yi Halo and comprises of 17 different Yi 4K — 16 along the circumference and one placed in the middle facing up. On the software side the Jump Assembler takes the video from all of the cameras and seamlessly stitches them together in a few hours. The camera can generate 8K x 8k stereoscopic VR content at 30fps, as well as 6K x 6K content at 60fps. Despite all the cameras involved and a removable battery good for 100 minutes of continuous recording, the whole thing weighs in at only 7.5 pounds (3.4 kg). The platform is aimed at pros or semi-pros so as you’d expect it won’t come in cheap. The camera itself will retail for $16,999 and there are presumably other costs associated with the use of Google’s Jump Assembler for stitching video. That said, Google is also announcing a new program called Jump Start, which aims to give over 100 filmmakers free access to a Jump camera and unlimited use of the Jump Assembler over the next year in other to get more content out there. Yi Technology has made a name for itself in the last two years by releasing cheaper, but capable GoPro competitors. The company doesn’t expect the Yi Halo to be a huge money-maker, but it’s a step towards building significantly cheaper, consumer-grade VR cameras at some point down the line.